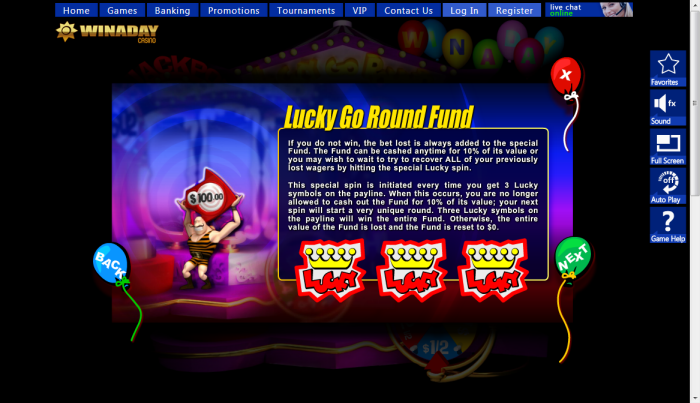 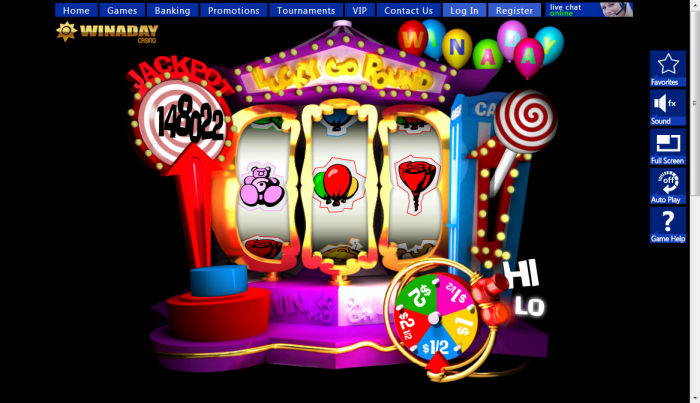 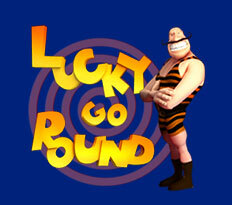 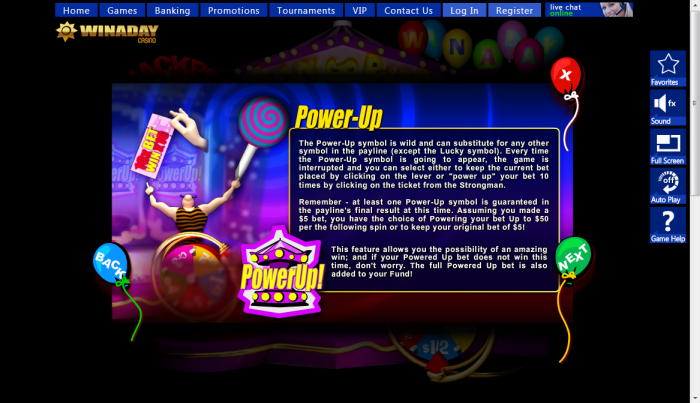 Overview: Lucky Go Round is a 3-reel, single payline online slots real money game, available at Win A Day Casino. 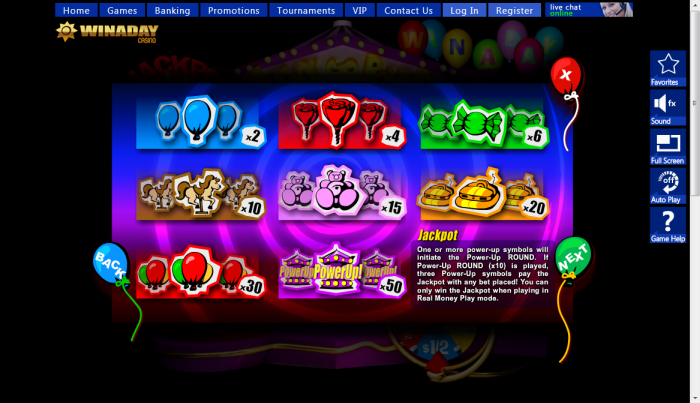 This game is a standard single line game that pays players for various winning combinations, and has many extra features and bonuses to make the game more exciting. 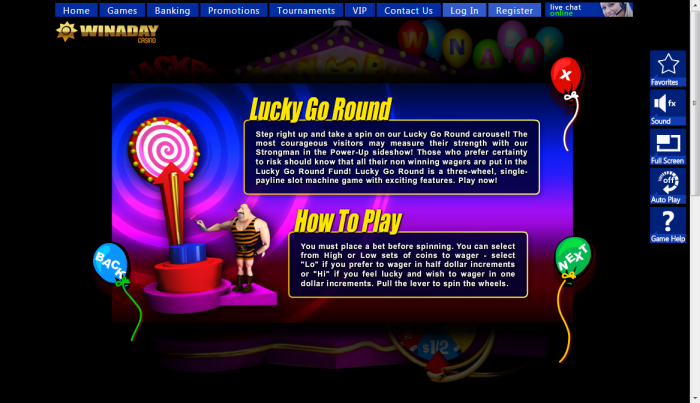 There are two options for betting - Hi and Lo, where you bet a dollar when 'Hi' is selected, and half a dollar when 'Lo' is selected. 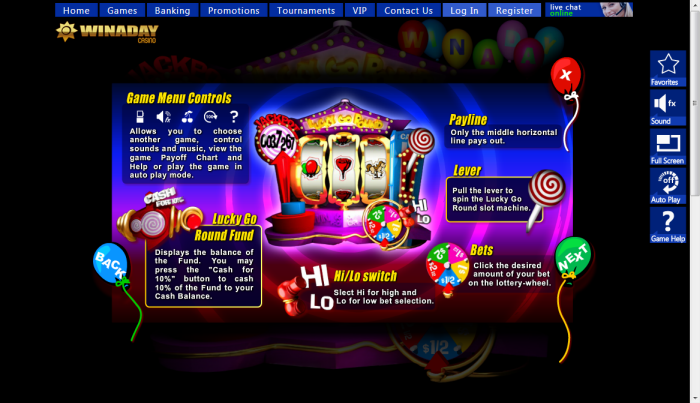 Similar Slots: If you like Lucky Go Round, you might like these other slot machines from Win A Day Casino: Alice in Wonderland, Birthday Bash, Fruiful 7s, Grand Liberty, The Reel De Luxe, Tropical Treat.